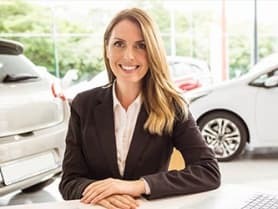 Here at Wilsons we have a dedicated Customer Care Team that are in place to help you with any queries that you may have about your new car, service, MOT or any general enquiry. You can contact a member of the Team by calling 01372 736 000, sending an email to customer-care@wilsons.co.uk, submitting an enquiry form anywhere on this site or clicking the green 'Chat Now' buttons. Unavailable on Bank Holidays and weekends. If you try to contact a member of the Customer Care Team outside of these hours, they will not be able to respond until they are back in the office; however, they will endeavour to be in contact with you within 48 hours of your initial communication. We are committed to acquiring 'Lifetime Customers' so that the experience of buying a new vehicle will always be a pleasurable one when you visit us. We have a simple customer focused philosophy at the core of our business that means you will have a great choice of vehicles that represent excellent value for money and you will receive an exceptional service that extends beyond actually buying a vehicle. This means that we will provide you with a fantastic aftercare service which includes reminders for any service or MOT due on your vehicle. Since we were founded in 1904, Wilsons has always been a family-owned business and we take pride in transferring family values such as trust, loyalty and care into our business. Generations of customers have come to Wilsons to buy their next car or van and then relied on us time and again because we strive to ensure that all of our customers leave the forecourt satisfied. We understand that there may be occasions where customers feel unhappy with a service they have received. As such, we always listen to our customers and take all complaints very seriously. If you are the slightest bit dissatisfied with any aspect of Wilsons, please follow our Complaints Process outlined here. We are passionate about resolving any issues you may have so that you feel you have received the best service possible and are happy with any decided outcome.